Milk chocolate. It is loved by almost every kid for its lush creamy feel and heavy sweetness. I simply adored the stuff as a kid. Even many adults prefer it over high percentage dark chocolate, until they step away from mass-market industrial chocolate bars that are just way to bland and bitter. Fine, bean-to-bar made dark chocolate hides so many intriguing flavors, you could be satisfied for a life time. Yet every now and then, you think back on the joy you once experienced as a kid and crave for a quality milk chocolate that actually delivers flavor. I’ve tried several high quality milk chocolates so far, but non really could bridge the gap between milk and dark complexity wise. Today this may be changed. Today we sample Patric Chocolate’s Dark Milk Bar. Patrick Chocolate was founded by Alan McClure. After spending a year in France studying good foods, Alan was bitten by the Chocolate virus and he decided to create his own high quality chocolate bars. So far, he is a five time winner in the Good Food awards (2011 to 2015) and whenever you start to study the bean-to-bar movement, you’ll see the name Patric Chocolate turn up as one of the most important contributers to the scene in the US. I was very excited to discover his products in the amazing package Annmarie Kostyk sent to me. The bar comes in a fantastic wrapper. It is a cardboard sleeve that can be reclosed! 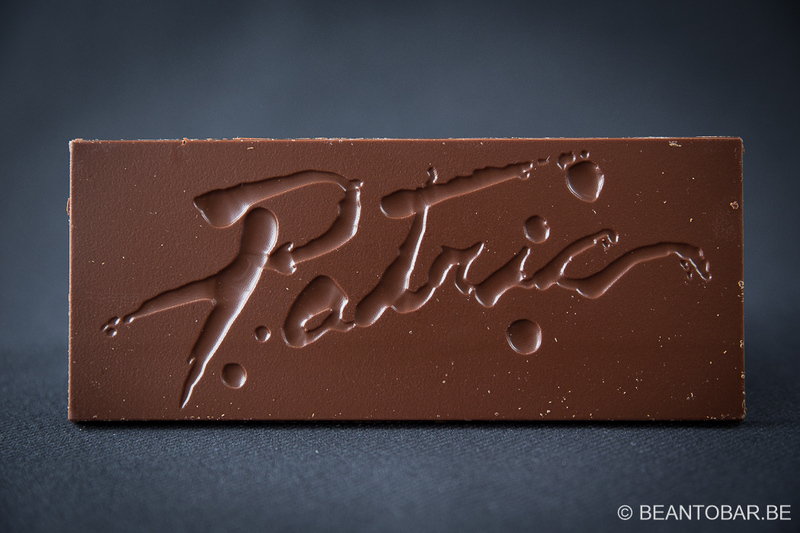 Patric Chocolate scores already! The design looks simple and clean. Seeing the cow, you instantly know what chocolate to expect. American hand crafted chocolate means you have good reasons to be excited. 58% cocoa isn’t low percentage either, this bar contains more cocoa than some industrial “dark” bars. Turning the sleeve, you get all the typical info, such as ingredients – 5 to be precise: Cocoa, whole milk powder, organic cane sugar, cocoa butter and sea salt. Inside the sleeve, even more info on the vision and chocolate production process of the company. The bar is further protected by a clear plastic film, showing of a gorgeous slab of chocolate. Though it is only 65 g, it looks far bigger. A proud “Patric” imprint gives it a luxurious look, without overdoing things. Looking top notch. Sleek and without any faults, it is molded to perfection. The chocolate is made from a signature blend of cocoa varieties. 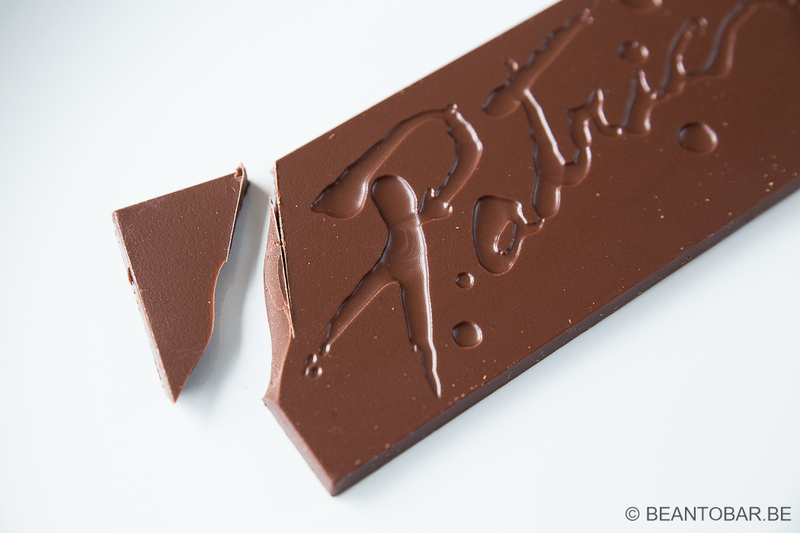 Taste: The bar has a very hard snap when breaking it. The flavor opens up with roasted hazelnuts. Next appears the caramel in abundance, mingled with a very nice touch of sweet yellow plum. Just the right amount of cream flows through, reminding you this is indeed a milk chocolate. The bar resist the melt superbly and keeps the flavors for an extended time on the palate. Moving on, a faint coffee tone emerges, going to a fresh cheese cake tartness near the end of the melt, as a more dark chocolate heart appears. The aftertaste builds on the momentum of the creamy, dark cocoa and adds a dash of smoked flavors and a distinct saltiness. By far the best milk chocolate I encountered in the world of fine chocolate. It offers both lush milk chocolate flavors, with the added twist of quality cocoa nuances and all of this without being over sweetened. This is excellent milk chocolate for grown-ups!